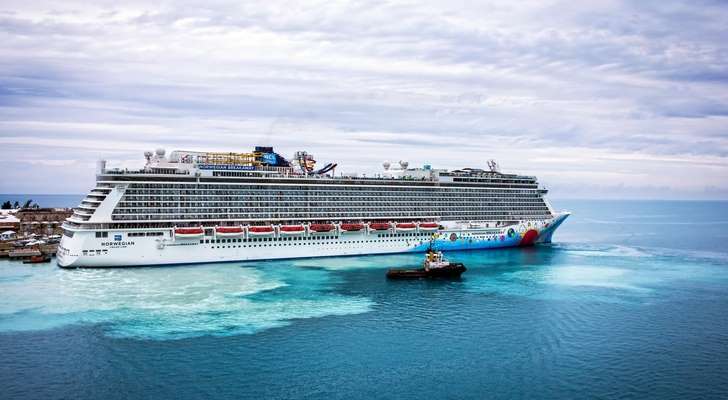 Norwegian Cruise Line has completed refurbishments aboard Norwegian Breakaway, Norwegian Sun and Norwegian Star. The revitalizations are part of The Norwegian Edge program to enhance the guest experience fleet wide. New venues on the three ships include the upscale Los Lobos Cantina; the adults-only Spice H20 lounge and Syd Norman’s Pour House, a bar and lounge with a rock ‘n’ roll theme. Enhancements aboard Norwegian Breakaway include new carpet in all 2,014 staterooms; new furnishings in the Bliss Ultra Lounge; a transformed gift shop and new carpeting in staircases, elevators and lobbies. The ship also now features a Syd Norman’s Pour House. After a three-week renovation, Norwegian Sun features refreshed staterooms with smart TVs and USB ports, new carpeting and artwork. The ship offers new venues, including Los Lobos Cantina, Bliss Ultra Lounge and Spinnaker Lounge. Existing restaurants and public spaces were also refreshed, including Cagney’s, La Cucina, Le Bistro, Teppanyaki, the Mandara Spa, Stardust Lounge Theater and Splash Academy. Norwegian Star’s dry dock brought enhancements to staterooms, public spaces, restaurants, bars and lounges. The ship also has three new venues: Sky High Bar, Bliss Ultra Lounge and Spice H2O. The latter is an adults-only enclave with a private pool, hot tubs, full bar and ocean views. In the evening, it becomes an open-air lounge with live entertainment, DJs and themed nights.